Woodcliff Lake, NJ – May 15, 2012 …. In the long standing tradition of high performance BMW “is” models, BMW today announced an enhanced performance version of the 1 Series Coupe and Convertible called the BMW 135is. 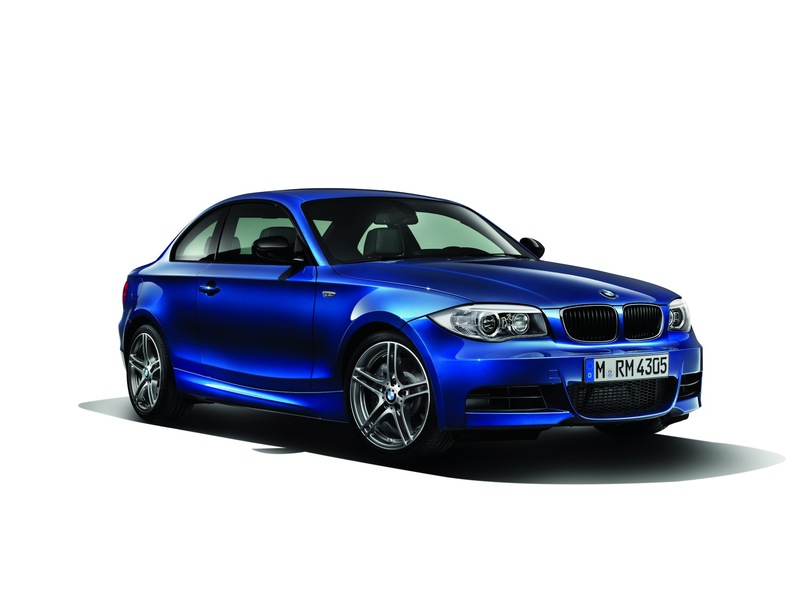 The 2013 135is Coupe and Convertible focus the qualities that made the 135i such a success amongst driving enthusiasts – with more performance, enhanced sound and dynamic design details. Both the new 135is Coupe and Convertible are scheduled to arrive in BMW Center showrooms this fall with retail pricing set at $44,145 and $48,845 respectively (including $895 destination and handling). Both models are equipped with BMW’s award winning TwinPower Turbo 3.0-liter inline-6 engine (N55) featuring Valvetronic throttle-less intake technology, direct injection and a single twin-scroll turbocharger. For the 135is, the engine has been tuned to increase peak horsepower to 320 hp (+20 hp increase) and 317 lb-ft of torque (+17 lb.ft) while maintaining the same emissions level and MPG ratings of the 135i. A Performance exhaust system complements the increased engine performance and provides a sporty exhaust tone. The engine cooling system has been upgraded to match the additional performance output by adding a larger, and more powerful radiator fan and an auxiliary radiator. Both BMW 135is models will be offered with either a standard 6-Speed manual transmission or an optional 7-Speed Double Clutch Transmission. The 135is is equipped with sport suspension incorporating an aluminum double-pivot front suspension and a five-link fully independent rear suspension in lightweight steel. BMW’s Dynamic Stability Control (DSC) also includes a Dynamic Traction Control (DTC) function that provides electronic intervention to prevent loss of vehicle control, but at a higher threshold before activation. This allows the driver to experience more spirited driving on dry roads and offers more flexibility when driving in more challenging conditions such as in snow. If the driver desires, both DSC and DTC can be disabled entirely. In addition to its duties as a safety system, the DSC system on the 135is is programmed specifically to enhance performance-oriented driving. The differential in the 135is comes from a new generation of final drives optimized for running smoothness and fuel efficiency. Featuring double-helical ball bearings, the differential runs at an even lower operating temperature reached more quickly than before thanks to the reduction of fluid required in the differential. Electronic rear brake management is used to simulate a differential lock for stronger acceleration in turns and low-traction conditions. The exterior of the new 135is Coupe / Convertible will be clearly identified by exclusive 18” wheels, unique high-gloss black kidney grill, black mirror caps and special exterior badges in additional to the standard M Sport Package components. Interior highlights include stainless steel pedals, special interior badges and optional black leather seats with blue stitching for the standard sport seats. The BMW135is Coupe and Convertible are available to order now and are scheduled to arrive in BMW Center showrooms this fall.